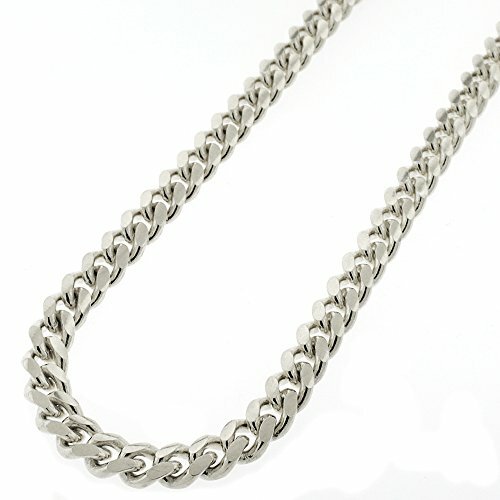 [ CHAIN INFO ] 7.5mm wide, Sizes 24" - 32". Weighs approx. 3.7 grams per inch. Crafted from Pure 925 Sterling Silver, a Bright & Sturdy Metal. Coated with Rhodium Plating for a Long Lasting Shine & Daily Wear Protection. Features a Box Lock Closure for safety and security. Wear it alone or with your favorite pendant or charm. A great choice for Men & Women. Gift Packaging Included - Perfect for sending it as a gift! [ REAL 925 SILVER ] ISD Sterling Silver Jewelry are stamped "925"